Aluminum levers are ambidextrous, mounting is possible right and left. The levers are henceforth have a new, more ergonomic shape. 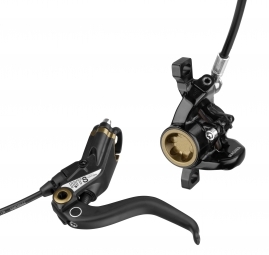 The brakes are equipped with disks Storm SL 180mm size.